Madrid: Gareth Bale tied his long term future to Real Madrid on Sunday by extending his contract with the Spanish giants to 2022, the club confirmed. "Real Madrid CF and Gareth Bale have agreed an extension to the player's contract, keeping him at the club until the 30th of June 2022," Madrid said in a statement. Bale, 27, joined Real for a then world record fee from Tottenham Hotspur in 2013 on a six-year deal and has won the Champions League twice in his three full seasons in the Spanish capital. The Welshman is just the latest of a series of Real stars to agree contract extensions in recent weeks as the club prepares to serve a one-year transfer ban imposed by Fifa should a final appeal to the Court of Arbitration for Sport fail. Luka Modric, Toni Kroos and Lucas Vazquez have already agreed new deals, whilst Cristiano Ronaldo is expected to follow suit. By tying Bale down for the prime years of his career, Real aim to ward off any suitors from the cash-rich Premier League for the Welshman, who was twice voted player of the year by his peers in England. Bale shone in Real's two Champions League finals against cross city rivals Atletico Madrid. He scored the crucial second goal as Real ended a 12-year wait for their tenth European Cup in a 4-1 victory after extra time in his debut season in 2014, and from the penalty spot when Los Blancos edged this year's final in May 5-3 on penalties. Yet, his most spectacular moment in a Real shirt came with a stunning solo effort that demonstrated fully his athleticism as he outstripped the Barcelona defence to net the winner in the 2014 Copa del Rey final. Despite those successes, Bale hasn't always found life easy in Spain. 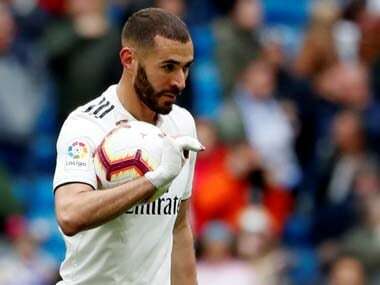 His difficulties with the language means he is yet to address the media in Spanish, although he insisted towards the end of last season he has improved to allow himself to be a more active presence in the dressing room. On the pitch, Bale has been hampered by a series of calf injuries and he has still not won a league title in his career as Real have gone four years without lifting La Liga. 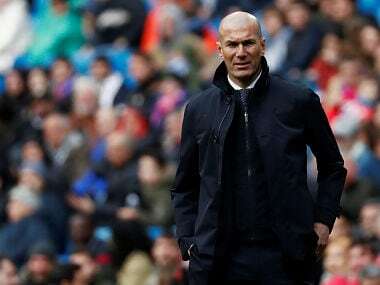 He suffered from stinging criticism and was jeered by the Real fans towards the end of his second season as Madrid ended the campaign trophyless under Carlo Ancelotti. Rafael Benitez was hired at the beginning of last season with the aim of getting the best out of Bale. 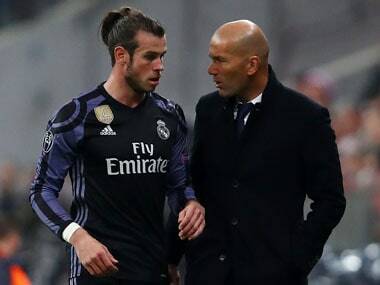 However, after Benitez's reign ended in the sack after just seven months in charge, it is under Zinedine Zidane that Bale has flourished. Of his 62 goals in 135 appearances, 14 have come since the Frenchman took charge in January. Bale's performances in leading Wales to the Euro 2016 semi-finals — their best ever run in a major finals — confirmed his status as one of the world's best. And a first ever place on the podium for the Ballon d'Or could follow after Bale was named among the 30 nominees for the prize last week.